I can hardly boast that this is an old Irish recipe passed down through the family, because Mum doesn’t have any Irish ancestors. Even so, I like the sound of these baked instead of fried potato cakes. I started off thinking that they would be little less fattening until I came to the last part about splitting them in two and spreading them with butter…. Despite that or maybe because of it – they sound great. 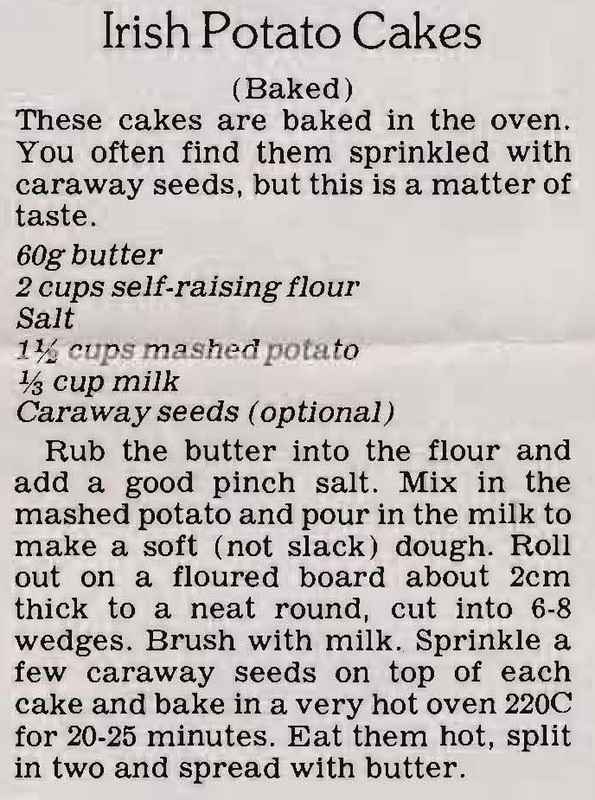 This entry was posted in All Recipes, Salads & Vegetables and tagged 1990s, butter, caraway seeds, flour, irish potato cakes, mashed potato, milk by bebsrecipes. Bookmark the permalink.